Nanbu-Tetsubin is one of the most beautiful pieces of art made by Japanese craftspeople. It also makes boiled water taste better. Wisdom of our ancestors reside in the tradition of Nanbu-Tetsubin. 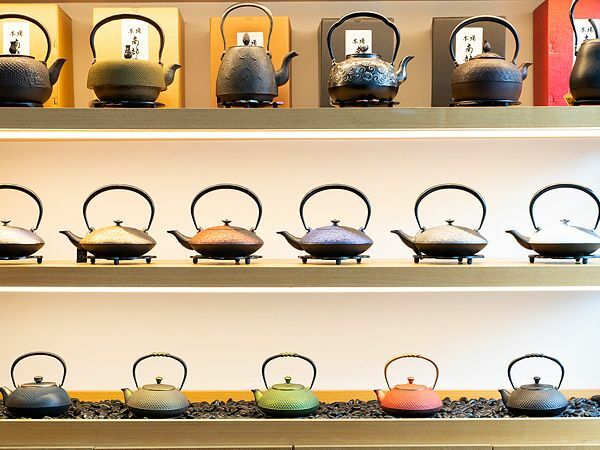 As a tea specialty store, we also place emphasis on this iron kettle we use that makes our tea so tasteful. 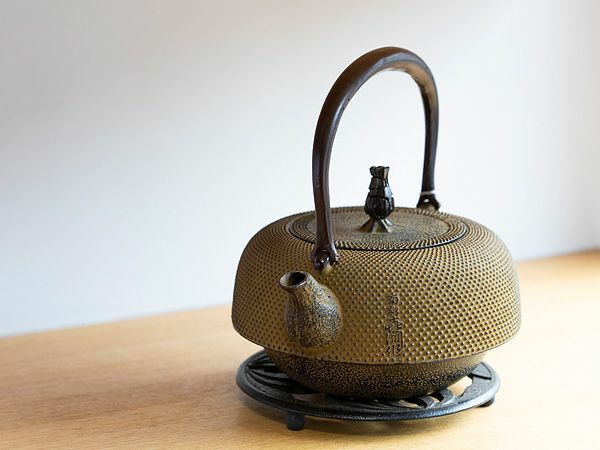 Only the ironware produced in Morioka City and Mizusawa City are called “Nanbu ironware.”Its delicate texture and a certain feeling of dignity it exudes are the characters of “Nanbu ironware.”The industry has been inherited for about 400 years. It was designated as a Japanese traditional craftwork in 1975. 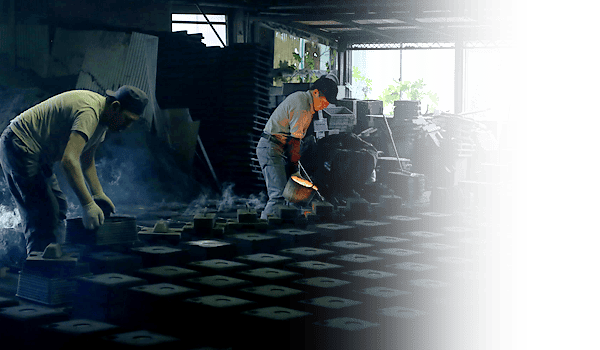 Making an iron kettle (tetsubin) starts by coming up with a design. 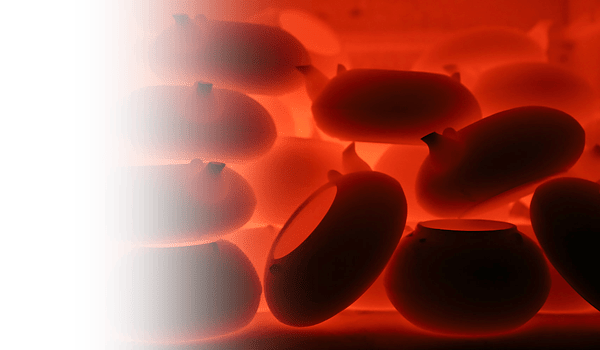 After the design is decided, you pour melted iron into the casting mold. After the temperature of the iron cools down, you pull it out of the mold. Then you dye it and attach a handle on it. There are many processes until completion, and you need to have mature technique. When you cook using a Nanbu ironware, iron gradually seeps into the water, and you can receive supplemental iron. The iron that seeps into the water is called “bivalent iron” and can be absorbed in your body easily. So, using iron kettle every day is proved to be good for preventing and improving anemia. As you continue to use an iron kettle, inside of the kettle gradually becomes brown. This is not rust. Instead, it is called “yuaka (scale).” When your iron kettle is covered with “yuaka,” we call this “Tetsubin ga nareru.” It is this “yuaka” that adds mild taste to boiled water. Therefore, the more you use your iron kettle, the better the quality of your iron kettle will be. Iron kettles are crafts that can be used for a long time.